How many hoses can you count? Above you can see what happens when I get let loose under the hood. Actually this is when the PFS IC and Intake was being installed. Not really a difficult job just lots and lots of parts. 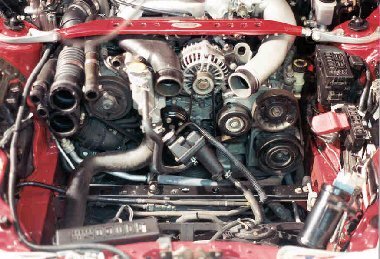 I bet most of you have forgotten what a stock engine bay looks like! 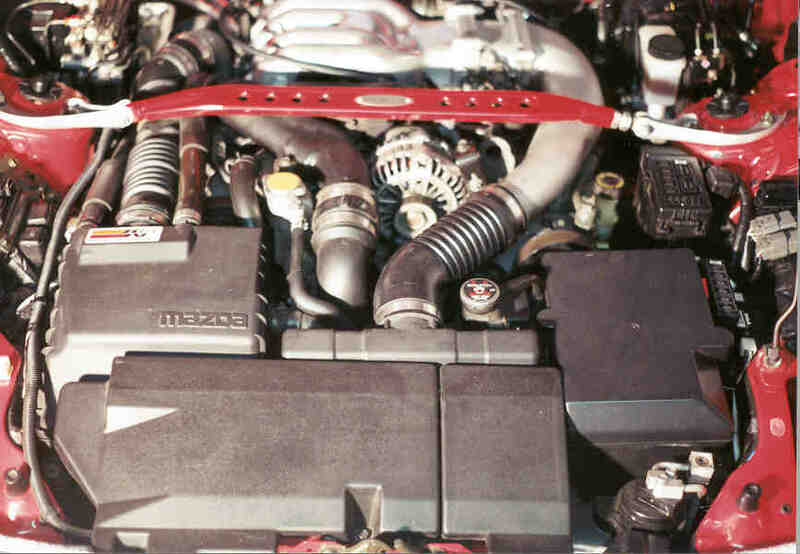 The finished product is pictured on the engine page.